With the right electrician tool pouch, you will be able to keep your tools and accessories well organized and accessible wherever you go. As you may have noticed, these bags are available in an assortment of sizes, designs and shapes. This being the case, choosing the best one can be a daunting task; especially if you do not know what to look for. Basically, the best electrician tool pouch is the one that is lightweight, comfortable to wear for extended periods and durable. Since you will be wearing the pouches on your body, aesthetics may also be a key consideration. Even with such considerations, you will still have a horde of tool pouches to choose from. 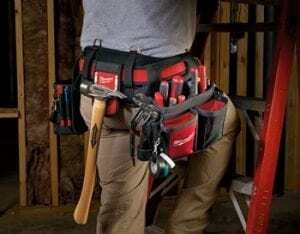 Reviewed below are five of the best electrician tool pouches available today. We also reviewed the best electrician tool bags, if that’s what you’re looking for. Are you looking for a large technician tool pouch that can accommodate more tools and accessories? Though compact and lightweight in design, the CLC Custom Leather Craft 1539 offers you a total of 50 spacious compartments. The pockets in this pouch are large enough to accommodate an array of electrical technician or contractor tools and accessories. You will find the compartments in this bag large enough to hold an assortment of power tools, including the relatively large hand tools. In addition to the compartments, the bag has a tape measure clip and a big carabiner on its outer side. To ensure that your tools are well organized, this pouch also features several vertical tool pockets. The various compartments in this product are designed to keep your tools, parts and accessories visible and easily accessible. This way, you will be able to retrieve them faster and effortlessly. The ToughBuilt Small Electrician Tool Pouch is one of the most preferred pouches out there for a reason. The product features a simple, yet functional design. As such, you will find it comparatively easy to use. The unit features patent ClipTech Hub by the manufacturer. This hub makes the pouch easy to clip onto and off any belt. When not hanging from your belt, you can use the integrated kickstand to position the pouch upright on the ground. As such, you will find the tools accessible whether the pouch is on your belt or on the ground. Another things technicians and contractors love about this product is its quality construction and durability. In this regard, the pouch features a rugged design and is made of high quality materials for enhanced durability. With regards to storage, the pouch has 13 pockets, including a wire-tester pocket, notebook pocket, adjustable tool pocket. Additionally, the product is equipped with loops for screwdrivers and tape chain. If you are looking for versatility in your tool pouch, you need to buy one that can hold an assortment of tools and accessories. 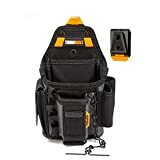 One of the best products, in this regard, is the DEWALT DGL523 Lighted Tool Backpack Bag. This is the pouch that will offer you all the space and variety you need to keep all your tools and accessories organized and accessible at all times. In this regard, the product has a total of 57 compartments, all of which are specifically designed to hold certain tools. In this regard, you will find specialized pockets for holding such tools as wrench sets, pliers, screwdrivers, extension cords, drill bits and drills. Klein Tools is a renowned manufacturer of hand tools in America today. 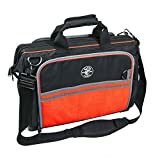 Just like other products by this manufacturer, the 554181914 Tradesman Pro Organizer Ultimate Electrician’s Bag is a high quality, functional product. To begin with, the bag features a durable weave ballistic construction. This makes it tough enough to hold a considerable amount of weight with all your tools packed in it. You will also love the LED light that is built into the bag. The on/twist off LED light used in the bag is positionable. As such, you will not have any problems working in dark spaces. The TradeGear Large Electrician’s belt and bag combo may not be the most affordable product in the market, but offers the best blend of comfort and durability. Having been designed to accommodate a large number of tools and accessories, you can imagine how heavy the bag can be when fully packed. As such, the manufacturer has included an array of comfort features to make the bag more comfortable to carry around. Some of the comfort features you will find in this product include a contoured back support, air-channel ventilation and high density foam padding. 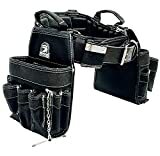 In addition to the 27 spacious pockets in the tool belt, you will also get 2 heavy-duty pouches for additional storage. Both the bag and belt feature a convenient design and are equipped easy-to-carry handles. 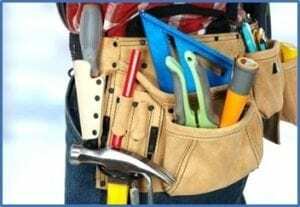 As an electrical repair technician or contractor, you will need different tools and accessories while diagnosing, repairing or replacing different electrical systems. In this regard, it is important to keep the different tools and accessories close to you and well organized. One of the best ways to do this is using the best electrician tool pouch. With the right pouch for your tools, you will be able to carry the various tools on you whenever you are working. Additionally, such pouches give you great access to the various tools whenever you need them. While this is the case, the market today is flooded with these products. This makes it a little bit difficult for busy professionals to choose the right electrician tool pouch. However, this choice does not have to be daunting and time consuming on your part. These are equipped with suspenders to secure them in place on your body. The straps on such pouches are properly positioned to ensure that the weight of the tools is well distributed throughout your body. If this is your preferred type of electrician tool pouches, you need to choose between the dual strapped and the single strapped pouches. This choice will mainly depend on your preferences. However, the dual strapped products are known to offer a better weight distribution. As such, you will find the dual strapped products more comfortable to carry around than the single strapped pouches. These are common among almost all construction professionals today. Such products are designed to look like conventional belts, but have several pouches along their length. By wearing the belt around your waist, you will have access to several storage compartments around your waist for your tools and accessories. Electrician belt pouches are available in different thicknesses. 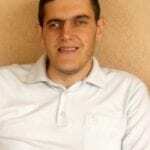 While this may not be so important, it is advisable to go for the thicker belts. You should also ensure that your preferred product is comfortable to wear under the weight of the tools for a long period. Basically, you have to opt for a pouch that can withstand the aggressive use for a long period and is comfortable to wear. In this regard, the material used to make the pouch will determine its comfort as well as its durability. Polyester is a synthetic material that is commonly used to make these products. While this material is lightweight and comparatively affordable, it is not that durable. Belts made of polyester are relatively weak and are only ideal for carrying a limited number of tools. With time, the pouches will degrade in structure and even rupture under the weight. However, pouches made of polyester are affordable, lightweight and water resistant. Leather is the most durable of the materials being used to make electrician tool pouches today. However, the strength and durability of leather pouches will depend on the quality of leather used to make them. In this regard, you can choose to buy products made of genuine, full grain or top grain leather grades. Top grain grade leather is extracted from the top layer of the skin. This leather is considered to be relatively pliable and very comfortable to wear. Electrician tool pouches made of full grain leather are the most expensive pouches in the market today. Basically, full grain leather comprises of all the skin layers, which is why it is costlier. Products made of full grain leather are very durable. However, full grain leather remains stiff regardless of continued use. 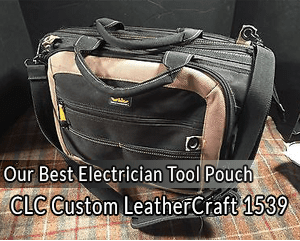 All in all, your choice of the right leather electrician tool pouch will depend on your preferences and the much you are willing to spend. In many ways, nylon tool pouches are similar to those made of polyester. However, nylon is stronger than polyester. As such, pouches made of nylon are more durable than those made of polyester, but not as strong and durable as the pouches made of leather. As compared to polyester, nylon is less resistant to water. Though similar in design, the various belt and harness pouches available today differ when it comes to the number of compartments they have. While a larger number of compartments may be a great thing, they will also make the pouch bigger and bulkier. As such, you should go for a pouch that has just enough compartments for your tools and accessories. Choosing the right tool pouch may seem to be an easy task, but it actually is not. As you have learned throughout this guide, there are several considerations that you need to make while choosing one. In addition to the 3 considerations discussed above, you may also need to consider the additional features as well as brand reputation. These, along with your personal preferences, may make things appear a little complicated. With this guide, choosing the best electrician tool pouch should now be a walk in the park.